Now, anywhere in your program when you use CustomerDataSet, It sees If the customers are already loaded, If not load it (e.g from a data store). But this is not a new concept, right? Absolutely! However, the point is this concept is very important when you try to load related objects. Suppose Customers have Orders. You when you get all the customers, do you want to get all the orders placed by them? Probably not. You probably want to get the orders for customers when you need it (you are lazy here) and don’t want to get all the orders for all the customers when you just wanted customers. where contextObject is an instance of the type of ObjectContext. By default the lazy loading is enabled in EF. 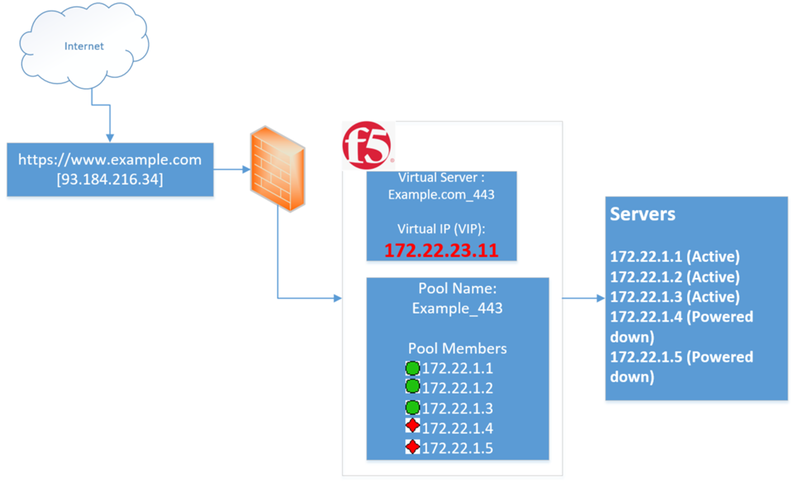 So, how does it work in EF?. I generated the following model from an existing database. 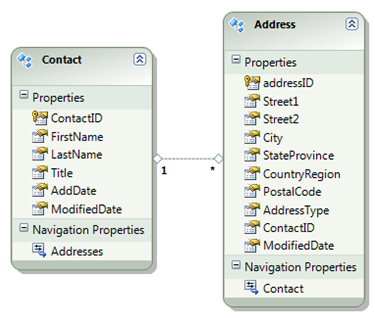 The next 11 queries are the for getting the addresses for each of the 11 contacts the very first time we access the Addresses properties for each contact. In this case the query to get all the addresses will be fired when the item.Addresses.Count is called. 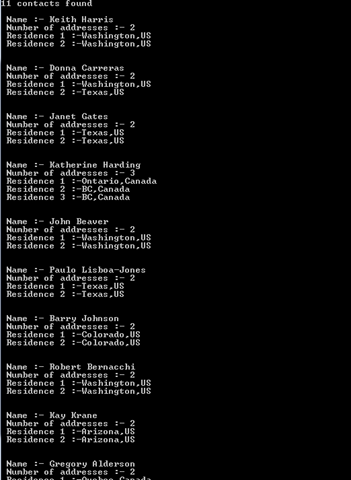 Following is the Sql query which gets fired to get addresses for each contact. There would be 11 trips to the database with the following query. What If we want to load all the addresses as well for all the contacts when we get the contacts. Surely It can be done. However, for this, we need to turn off the lazyLoading behavior in EF. As I said before, It is on by default. 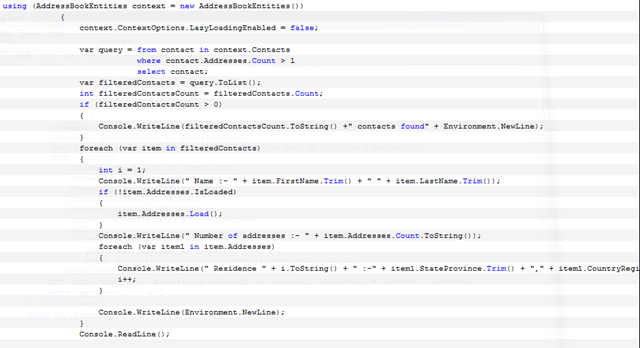 You just need to use “Include” method on the list, in this case the contact’s list and pass the path to other collection for each contact. In this case, each contact has “Addresses” collection, so we pass “Addresses”. 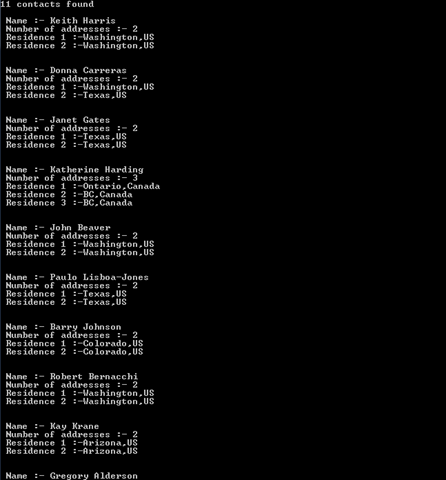 And the query is below which gets all the contacts along with their addresses. You check for the IsLoaded property of the collection (e.g. Addresses) and if It was not loaded for a given contact, you call the Load() method to load the Addresses for a given contact. 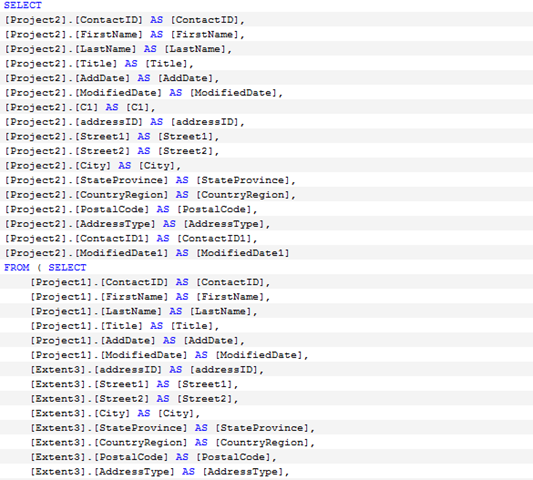 You should see the same number of same queries (same number of database trips) as you saw in case of lazy loading. So the explicit loading is nothing but the lazy loading, however, in explicit loading we explicitly load the child collections (relations) and in lazy loading, we dont have to “load” them, they get loaded when they are accessed. 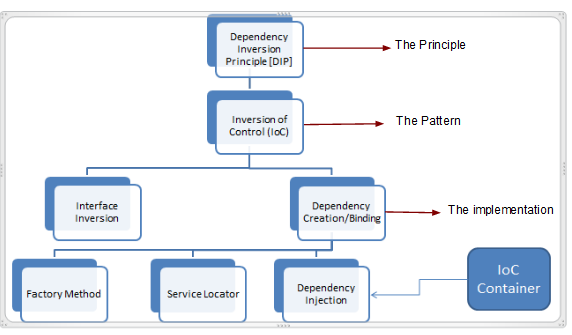 This entry was posted on August 22, 2010, 4:34 pm and is filed under Entity Framework. You can follow any responses to this entry through RSS 2.0. You can leave a response, or trackback from your own site.